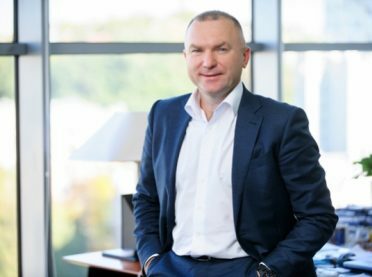 Concorde Capital CEO Igor Mazepa gave an exclusive interview to the Interfax-Ukraine news agency (Part One). – How are investors reacting to the approaching presidential and parliamentary elections in 2019? Do they believe that Ukraine’s risks are growing? – Ukraine is a risk in and of itself. Knowing and understanding these risks is my task, as well as explaining to investors what risks and possibilities exist on our market. On the whole, investors are currently more interested in the issues of bond payments, reforms and corruption. That is what everyone is truly talking about. On these issues, I am getting absolutely varying feedback from investors. The one thing that they can all agree on is that their attitude towards Ukraine will be strongly influenced by the position of the International Monetary Fund (IMF). And the Fund has made clear exactly what it wants from Ukraine. Firstly, an anti-corruption court. That’s the cornerstone that is being discussed by activists, Western diplomats, the IMF and all the rest. Foreign investors are also waiting for that. Secondly, there’s the natural gas issue. When the IMF issued its fourth tranche of the EFF loan for USD 1 bln a year ago, the natural gas issue looked to be already resolved: the government was only suppoed to fulfill it technically and that decision was awaited before the start of the heating season obviously. Yet, from what I know from insiders in the IMF and diplomatic circles, the Fund – with deep surprise and sorrow – learned that gas price increases won’t occur, and it learned of that not directly, but from television, like the rest of us. After that, I think they had feelings that were beyond being simply unpleasant. WeatConcordeevenworkedoutadevelopmentalmodeloffurthereventsinthescenariooftheFundrecalling the last tranche, considering the gas issue was a strict precondition. If the condition is not fulfilled, then the lender has all the grounds to demand that the financing be returned. By our estimates, the likelihood of such a demand being made was very high. So until these issues are resolved, more funds or programs aren’t even on the table. As far as I understand it, these issues are already entering the political plane. Now everything depends on how the prime minister acts, as a politician or a technocrat … Obviously, a decision on the anti-corruption court is in the hands of the president, while the gas price is in the prime minister’s hands. – How long are investors willing to wait for these decisions? – I should note from the outset that investors have quite positively reacted to changes that have occurred in the country: on the autumn of reforms, on the emergence of an absolutely functioning and independent National Bank, on changes within Naftogaz. I remind you that Naftogaz has always been a black hole in which hundreds of billions of hryvnias were hidden. For many years, the analysts of Ukraine’s budget deficit included the deficits of the Pension Fund and the Naftogaz deficit. Now thanks to the efforts of its new management, Naftogaz’s deficit has become a surplus. I see a forthright attitude from Prime Minister Volodymyr Groysman to resolve this situation, but I also understand the prime minister’s hands are tied on many issues. I even discussed with Alex Paraschiy, the director of our analytical department, whether Groysman is doing good or bad. We came to the view that he’s a super prime minister, but his hands are simply tied. – Taking into account this situation, what is Concorde Capital’s macro forecast for the current year? – We believe that Ukraine is going to grow. Our forecast is similar to World Bank and IMF expectations of 3.0% to 3.5%. The main factor is domestic demand, the trigger or initial spark for which was minimum wage hikes at the start of 2017. And that factor hasn’t run its course yet. Wages continue to grow amid a catastrophic situation on the labor market. By the way, I think the labor market will become the biggest risk for the economy, even more than the hryvnia exchange rate. Millions of Ukrainians continue to depart to eastern Europe, or to Russia. Businesses are already having trouble hiring unskilled labor at salaries lower than UAH 10,000 a month. They are already forced to pay high salaries even without management’s approval. In turn, this will affect marginality and many businessmen are being cut down, especially when far from everyone has emerged from the deleveraging situation (reducing debt burdens – Interfax) in 2008 and 2014. On the other hand, it’s not all that bad considering that the wealth of Ukrainians is rising and affecting economic growth. The positive economic expectations are supported by foreign markets: prices for the main Ukrainian products traded on exchanges are either stable or are growing a bit. Production is also growing. The hryvnia exchange rate is not the biggest risk nor the biggest factor. A devaluation to UAH 30/USD wouldn’t be a bad thing, in my view. – This macro scenario takes into account ongoing cooperation with the IMF? – Economic growth is possible in 2018 even without the IMF. But of course,the IMF is very important. Firstly, it’s about USD 2 bln in financing. The fate of European money, World Bank loans, and grants – which we estimate at USD 1.5-2 bln – also depends on the Fund’s decision. But what’s most important, the IMF can and should become a trigger for attracting private funds. Politically motivated loans are not a great achievement. It’s important to successfully compete for the money of private investors, which is mobile and effective. I can offer as an example Nigeria, where there’s an analogous situation. We examined an issue of debt instruments in the local currency, where the market was the equivalent of USD 800 mln before the foreign lenders made their decision. Even though Nigeria is a large country and that amount is not a lot! In only six weeks following a positive forecast offered to Western leaders, this market grew to USD 10 bln as the government and private companies gained the opportunity to attract such an unbelievable amount of funds in literally a couple of weeks! The private foreign investor is what Ukraine needs. But he will come if the IMF sees real actions in reforming the country. – Do you think Ukraine will enter the foreign debt markets before receiving the latest IMF tranche? – The government truly has the option now of attracting financing with Eurobonds. But I fear that can cloud the minds of our officials. For some reason, everyone now is adhering to the notion that we don’t need the IMF and it’s better that we borrow “inexpensive” money without any obligations. Well, in the first place, they’ll be expensive. Secondly, that can lead to a total freezing of reforms. At least the IMF now serves as a stimulant of some kind of actions. It will be complete trouble if we lose that driver. It’s obvious today that in order to reform the system, loans can be offered to the government only under the condition of reforms. The desire within the state apparatus to change something on its own doesn’t exist so far. Moreover, I really wouldn’t want for the country to repeat the situation we had under President Viktor Yanukovych, in which he decided to reject the Fund’s support in one moment – thinking that Ukraine is in the necessary condition to attract financing from Eurobonds, Russia or somewhere else – and then somehow muddle through that way. – So do you think believe in an IMF tranche this year or not? – I think the likelihood is 50/50. – Will Ukraine handle the debt payment peak in 2019-2020 without it? – Roughly speaking, the presence of the IMF and Western politically motivated funds (about USD 4 bln in total) can potentially grow to USD 10 bln in private funds. Foreign payments amount to USD 10 bln by the end of next year. Additionally, the current account deficit, from all appearances, will be USD 15 bln by the end of next year. Quite a steep situation. – So you are currently selling Ukraine Eurobonds? – We are earning commissions (laughing). That’s firstly. What’s our recommendation? We don’t have a Sell recommendation. We need to see the IMF’s decision, which could be reached by the end of this summer, or the absence of such a decision. So you issue a Sell recommendation and then suddenly the sides agree. The likelihood is 50%, but it’s still there. It will become obvious by the middle of the summer. – When will the political factor be fully activated: who the next president will be and what will the parliament be? – You know, investors – and even Western investors – have long become accustomed to the opposition criticizing the government, and the government never, or very rarely, fulfilling its promises. That is what we see everywhere. Forexample, ourattitudetowardsYuliaTymoshenkoisnotclearcut. Notfirmlypositive, butnotfirmlynegative. Weanalyzedallthememoranda signed all by all the prime ministers: Azarov, Tymoshenko, Yushchenko. Landreformwasalwaysan issue and they always put their signatures on it. IncludingTymoshenko. Thesamethingwithgasprices. Butthencamedomesticpoliticalexpediencies. Theproblemhasalwaysbeen in the lack of will or ability to “sell” this to the public. Kobolev (Naftogaz board chair Andriy Kobolev – Interfax) and Yatsenyuk (former Prime Minister Arseniy Yatsenyuk – Interfax) once “were selling” this story to the public, explaining how gas price hikes will be compensated for. And now everyone again is saying that gas price hikes will worsen the burden on the budget, and no one wants to consider how underpriced gas affects the budget. After all, at a market price state companies pay funds into the budget as dividends or taxes, while at the understated price they are susdizing gas purchases, including those who can and should pay for it at a market price. The budget doesn’t get its due funds as a result. These are obvious things. Go out as a politician – president, prime minister, Tymoshenko the opposition leader, or someone else – go out and explain to the public these basic mechanisms. But people have been hammered with the notion that hiked gas prices mean that they’re losing something. That also applies to land reform, from which the public also only wins. Today you’re a lumpenproletariat who can’t sell your patch of land and will die a serf. But you could be gaining a new life off the land, providing for yourself and your progeny. – Wrapping up the political theme, do you have personal plans to compete in the elections, as in 2014? – No thanks. That doesn’t interest me. – Maybe not personally, but placing someone in a list? – 2014 was a tangential experience. No, I don’t have any such plans today. – Then back to business. In the current situation, are assets in Ukraine underestimated or overestimated, in your view? Does this depend on industry? – Let’s begin with where foreigners are looking since the real money is only foreign capital. Why is the city center of London or Paris so expensive? Because they are unique. The availability of such urban areas is very limited in the world, which is why it’s expensive. Everything that is unique to us in Ukraine, in theory, draws interest, including from foreigners. Any kind of port, chunk of railroad (if it ever becomes available), natural resources, gas, agricultural land (which I consider to be a resource) – all those things that are limited in supply in the world. They all have a price that can be quickly understood. You assess all the political risks, figure out the discount rate – but not 5-7% as in the West, not 15-20%, or even 30% – and then you go forward. There is real demand for such assets. And if an analogous factory can be built in Slovakia, Vietnam or Bangladesh, then better there than in Ukraine. – Are there assets still in Ukraine that can bring annual returns of 15-30% from the starting price? – In what time does an investor now expect for an investment to pay off? Three years, five is the maximum. And the return comes out to 20%. – Our businessmen are ready to sell at such prices? Not taking into account the sales of the Deposit Guaranty Fund, where there are such prices, but these are prices for troubled assets. – This is a question about bad debt, if I understand it right. Bad debts don’t affect cash streams, but in the view of the investor they can be either inexpensive or expensive, depending on the context and their understanding of the situation. For example, if a farming asset offers a cash stream of $100, then it probably costs $500. I would certainly not sell for any less. On the other hand, you – as the buyer – can think that this is expensive, that there is some kind of seasonality, the risk of losing your harvest … just common operational risks. But that’s your matter. To my mind, 20% is a good investment. – Probably foreign investors would be interested in lithium deposits in Ukraine, which are also limited, but lesser known Ukrainian investors already reached them. – It’s worth understanding how a foreign investor works, for example, in New York, whose mobility of money is very high. Today he invests in Bangladesh, tomorrow in Peru, after tomorrow Canada. To reach him with Ukrainian lithium, you really have to try. Take a look at how privatization occurred in Poland and Romania – they printed large announcements in FT, bold statements were made, and first-class bankers were hired, both domestic and foreign. And then the investor notices that something is being sold there, and if they’re talking so loudly about it, then it’s probably worth looking into. Then he’ll take his attention away for some period from Bangladesh, Peru and Canada and direct it towards Ukraine. But if someone is filching something here – lithium, gas, or land, and no ones knows anything about it (even I don’t know about it, but read about it from your news agency post factum), then what can be said about a foreigner and his interest? If it were a public and transparent tender, then it might have been interesting. – Do you have any projects with foreigners now involving direct investments in Ukraine, current or planned? – Unfortunately, we have many projects in which they are exiting (laughing). – Real estate is a clear and understood model that works identically in Kyiv, London and Paris … Most likely, real estate will be the first sector that foreigners enter when the first signs emerge of a reviving and renewing economy. They are already begin to emerge, but they have questions of prices and, accordingly, rates of return. 15% annual return – that’s so-so. Even in Russia, Moscow and St. Petersburg are trading at less than 10%. And every percentage point of that rate is tens of millions of dollars of the asset’s value. We have several mandates to sell and one percentage point in rate of return is a change in the price by USD 10 mln. – They were still buying before 2014 or afterwards? – It’s those who bought in 2007, 2009 and in 2011-2012. Although to be fair, I should note that there remains a presence of foreigners in real estate. As for the consumer market, if it once attracted foreign investors in Ukraine, then now it’s a weak argument, unfortunately. There are two reasons: purchasing power declined and the population decreased significantly, owing to the occupation of Crimea, Donbas and those leaving abroad. I think I won’t be mistaken if I estimate that the population dropped by ten million. – The Cabinet this week discussed the 2020 census. The last one occurred in 2001. – I won’t be surprised if they count 32-35 million. Those who only work abroad don’t consume: they don’t go to clubs, they don’t buy gasoline, and they don’t buy food. And that’s the most economically active part of the population. What remains are the spongers and pensioners.